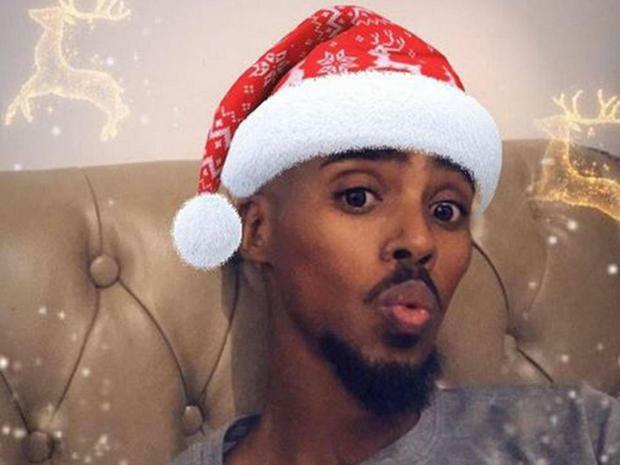 Four-time Olympic gold medallist Mo Farah has been targeted with racist messages claiming that he is now allowed to celebrate Christmas after sending his Instagram followers a goodwill gesture. The 34-year-old long-distance runner took to social media to wish his fans Merry Christmas, complete with a selfie of himself wearing a Father Christmas hat. However, Farah – a practicing Muslim – was targeted with a number of offensive messages that hit out at him for acknowledging Christmas due to his faith. The British Olympic great has more than 660,000 followers on Instagram, but not all of them agreed with him sending out a Christmas message and left offensive responses as a result. “You are being given the name of our beloved prophet Mohamed and it is better to protect the honourable name and your religion of Islam,” one response read. But most of the messages were largely positive in wishing Farah a merry Christmas in return, and there were also a few messages of support for his kind gesture. “What’s wrong with saying Merry Christmas? Not like he’s celebrating it. We have people who don’t celebrate Eid and are well known saying Eid Mubarak but that’s not a problem so why is this?” said one user in defence of Farah. The abuse comes just one week after Farah was named the surprise winner of the BBC Sports Personality of the Year award, having defeated favourite Anthony Joshua to claim the gong for the first time in his career as well as other leading British sports stars such as Lewis Hamilton, Chris Froome, Johanna Konta and Jonnie Peacock.